NWHikers.net - View topic - Kennewick Man Native Fate? 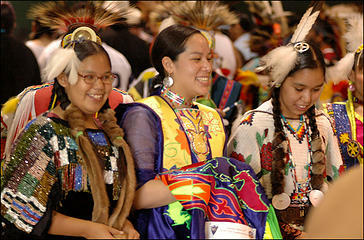 Forum Index > Pacific NW History > Kennewick Man Native Fate? Kennewick Man has finally been determined to be of Native American origin. The Indians want to bury him in the ground. Those final resting places are usually kept a secret. That is an interesting development and will probably cause Anthropologists to rethink some theories. So we went merrily along thinking he was European? If anyone is native he certainly is. 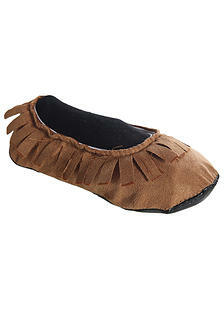 More native than the natives we call natives now. Maybe he is really Coyote or some other mythical being from legends. Chico, I think the consensus was that his skull shape most closely matched Polynesians of today. That therefore, his roots were said to be Asian. This was based primarily on skull shape and based on that assumption a mock up was made of his face with Polynesian/Asian features. On the basis of this analysis and knowing that American Indians had migrated into the Americas independently, it was assumed there had been two separate migrations of colonizers of the Americas and that the American Indians had superseded the Polynesian population. Now, all of this is in doubt. This is my rough understanding of this issue from a recent program on PBS and a couple of articles from American Archaeology, the quarterly magazine of the Archaeological Conservancy. These are just excerpts. Back issues are available. It does not cost much to join and I find the topics to be as interesting as those in the Smithsonian. 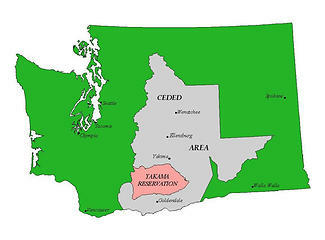 I predict that in order for the Yakima Indians to get Ancient One returned to them they will first have to hold council with the other tribes and agree about a secret burial spot that all will be happy with. We will never know. 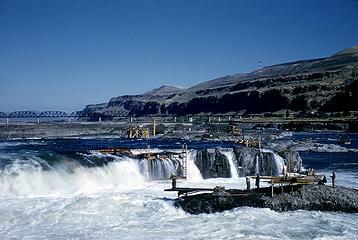 The Center of The Universe for all of those tribes has always been Celio Falls on the Columbia River. Tribes came from far and wide to fish there together. The Ancient One would have known it well. Show this week that discussed genetic testing overseas mentioned that five tribes have an agreed to, secret location burial site. 13,000 BP footprints on B.C. coast? Certainly not peer reviewed, but interesting first observations. That was one of the articles in American Archaeology; check it out. If Kennewick Man had known he was going to create all of this hullaballoo, he probably would have strove to walk an additional 30 miles before expiring. touron, it seems that given the choice of which city to be his ultimate esconcement--Kennewick, Pasco, or Richland--he chose Kennewick, a metropolis whose name may mean Tehe, and in view of said hullaballoo, he has had the last laugh on us. mgd, I do see the humour in the situation (though I have yet to see the Kennewick Man's humerus). It would appear that the Tri-Cities sprang up in their present location, knowing somewhat, but not knowing exactly, where the resting place of Kennewick Man was, yet each hoping to be the claimant of the future fame. It was only Kennewick who guessed correctly that this famous man would be called Kennewick Man, and hence they named their city expectantly in accordance. Such is the stuff, fabric, and coincidence of history. My present question is what kind of hiking shoes did he wear, especially if he started out in some place like Tierra del Fuego or Yakutsk. Silly. It's just a bunch of silliness I tell you.